Originally, I did not want to join a race during the rainy season because I knew that I would have a difficult time training outdoors. 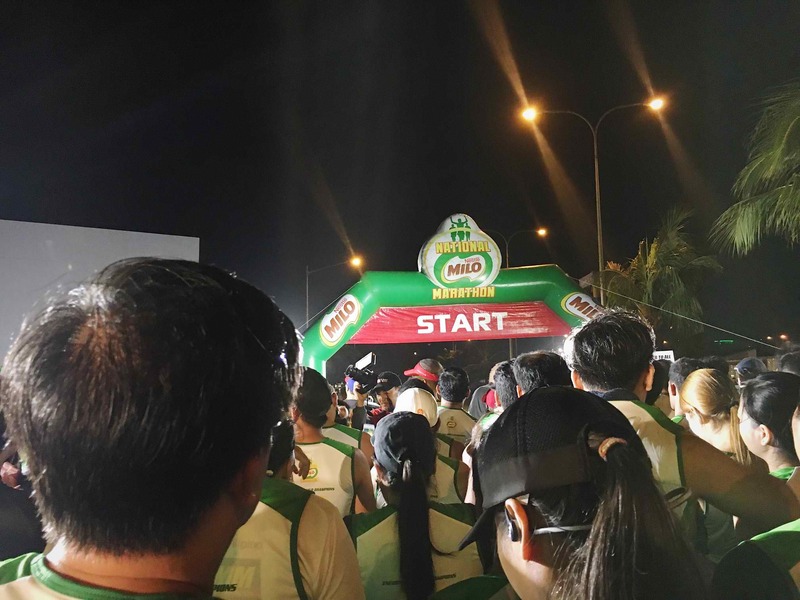 However, because of a surprising turn of events, I found myself randomly registering a month ago for the 41st Milo Marathon in Manila today. It all started when I couldn’t close the buttons of my top after eating a heavy lunch in the office last month. 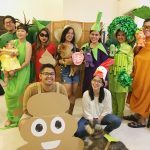 I told my colleagues about it and we all laughed and teased myself because we knew that I wasn’t physically fit anymore. 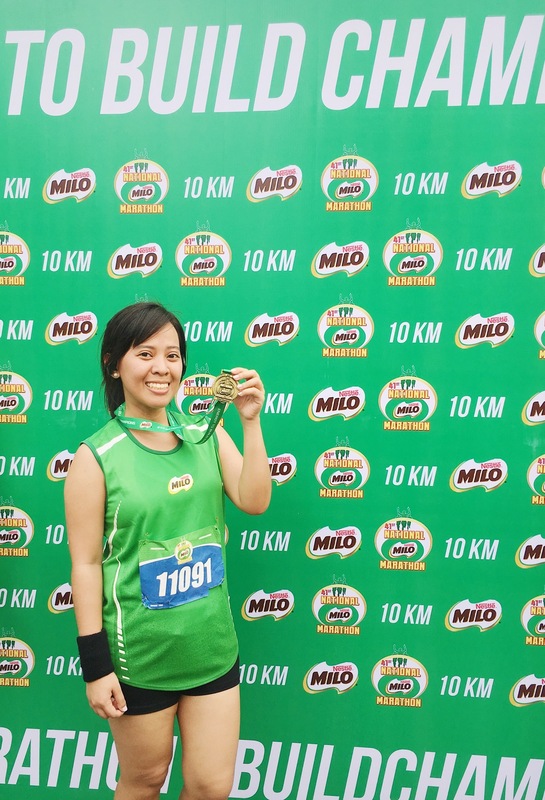 Interestingly, that same day, I received an email about the online registration for the Milo run. I took it as a sign for me to get back to shape. 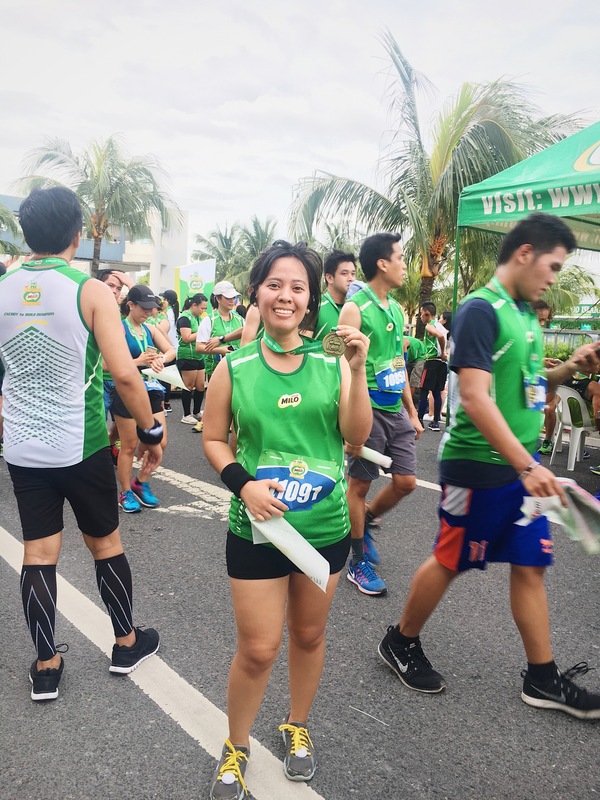 So, I prayed about it and asked God to make it clear to me that day, if I should join the race today. 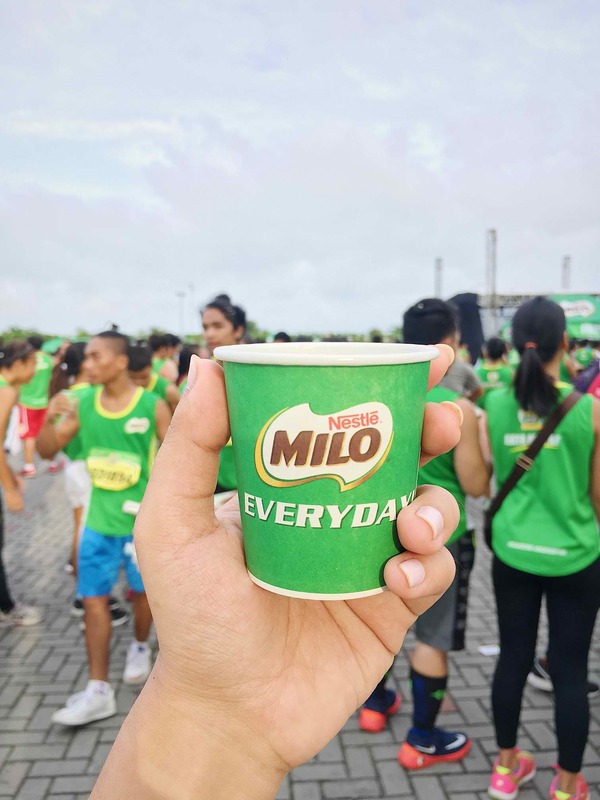 The only requirements for the registration are the fee and an empty bag of Milo powder, specifically the bag that weighs 300 grams. The registration closest to me was located near our office and near a grocery store. I told God that if He really wanted me to join this, He would provide a 300g bag of Milo powder that night. 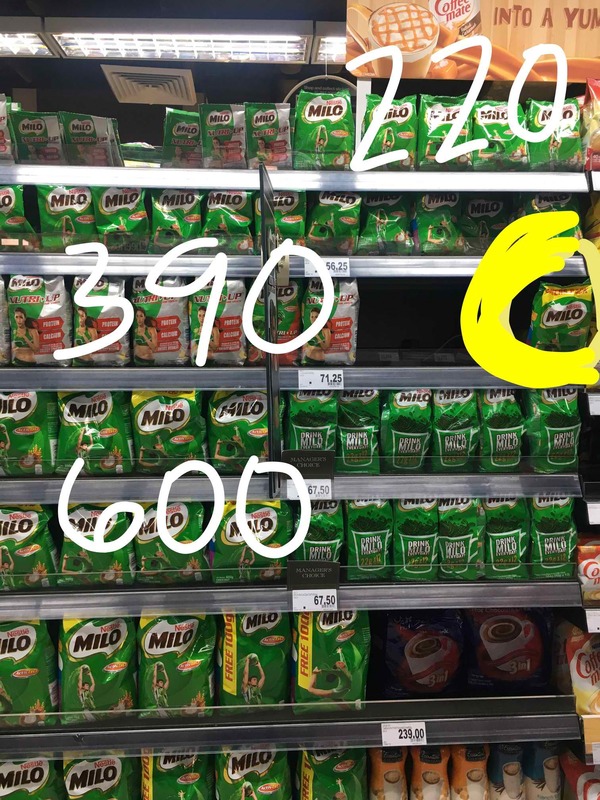 It’s funny because as soon as I entered the grocery store and saw the section where Milo was kept, there were numerous bags of Milo that weighed 220g, 390g, and 600g. However, there was only ONE bag of Milo that weighed 300g! It was as if it and I were destined for each other. Hahaha. Slowly, I felt the worries creep in me, especially last night. It was hours before the race and I barely had sleep. I also knew that I didn’t have the best trainings before the run. In fact, my average pace was 12 min/km. 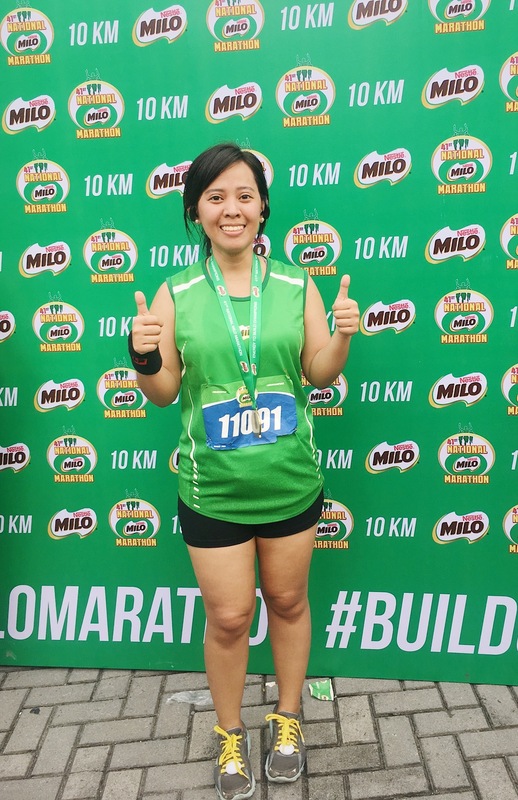 (The goal was to run faster than 9 min/km in order to achieve the cutoff time of 1 hour and 30 mins. 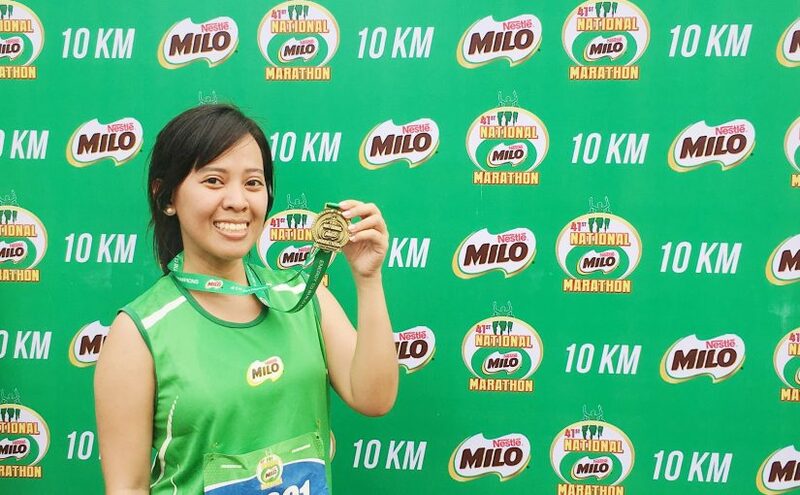 for 10K runners. But, by God’s grace, He surrounded me with supportive family and friends and they helped me remember God’s strength in my weakness. 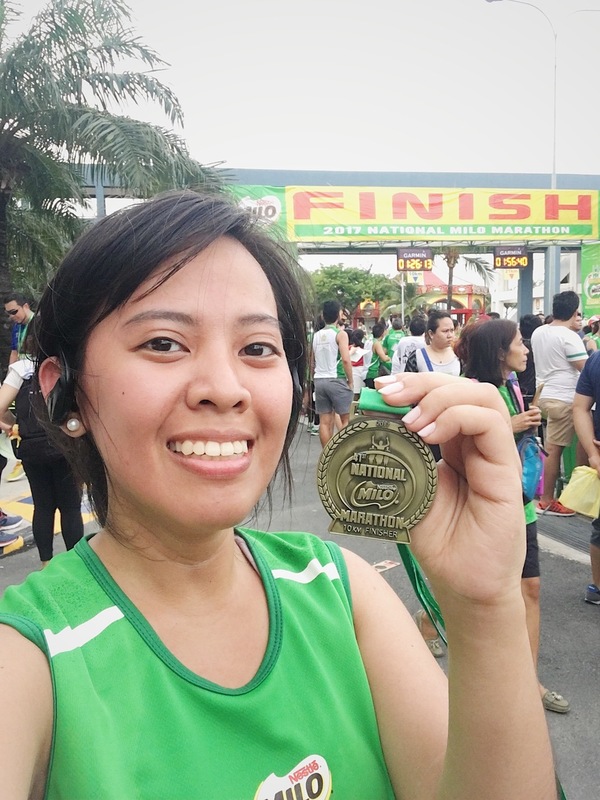 (Special shoutout to: My family, Tina A., Hiro, Zeke, Zee, Ira, Juds, and my other colleagues — for the encouragement before the race.). From waking up earlier than my alarms to being at the venue two hours before the call time to having perfect weather to persevering throughout the race and finishing well. God’s grace was very evident today and I can only give Him the glory for this accomplishment. As much as possible, I didn’t want to stop running because I was afraid of not being able to make it to the cutoff time. But, before the race started, the hosts reminded us of how crucial it is to hydrate every time we pass by the water stations even if we don’t feel thirsty. This will help the body endure better. Also, whenever I felt like my body was already going to give up, I replaced running with 30-second briskwalking every now and then. If I didn’t rest, I probably would not have survived the race. I guess what I mean is that our thoughts greatly affect our behavior and response. 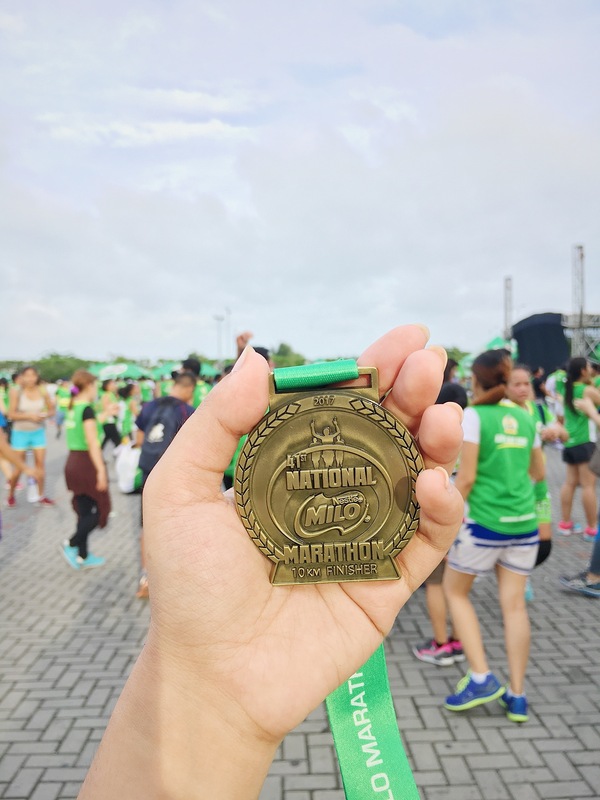 When I was entertaining thoughts of defeat (not being able to achieve the medal) during the first few kilometers, I saw how my body started to slow down and feel heavier. But, every time I prayed and encouraged myself to run a little further, I end up having the strength to endure. For ten times, I almost wanted to give up during the race. Also, when my body couldn’t take it anymore, I even remember saying “I never want to do this again!” Hahaha. By God’s grace, despite my thoughts, He still allowed me to finish the race at a good pace. 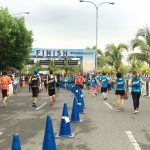 After updating one of my friends about the race, he said: I’m sure this activity will encourage you many times in your life!” …and I do agree with his statement. Somehow, God uses these moments in life to remind us of who He is. In those times when we feel like giving up and losing hope, He helps us to focus on Him and endure further. With only two minutes left on the clock, I was able to make it to the finish line on time (with a pace of 8 mins/km!!!) Woohoo! As we speak, I am still very weak and sleepy, I have sore legs, I am feeling light-headed, and I am exhausted. But, despite these, my heart feels very much alive and peaceful now and I thank God for the privilege of experiencing Him in new ways. 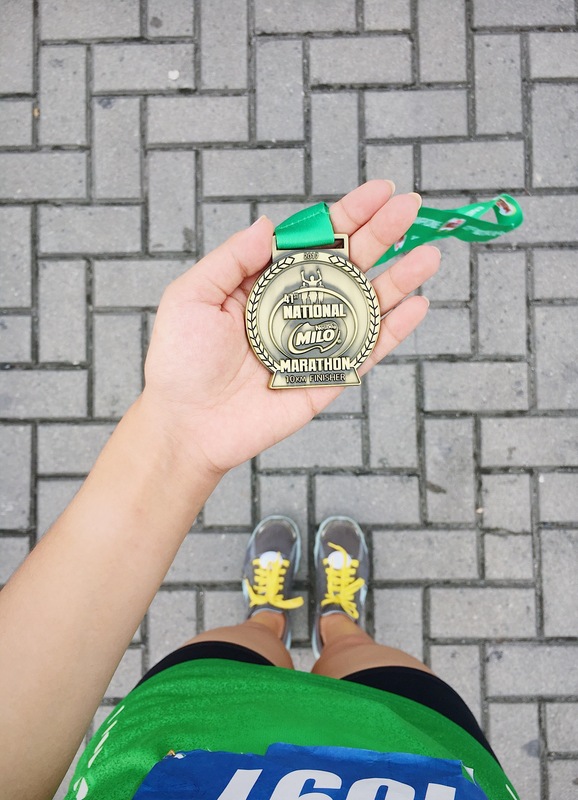 Thank You, Lord, for my first medal! This one’s for You! 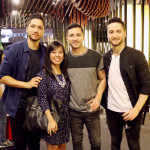 Previous Previous post: Did You Pray About It?